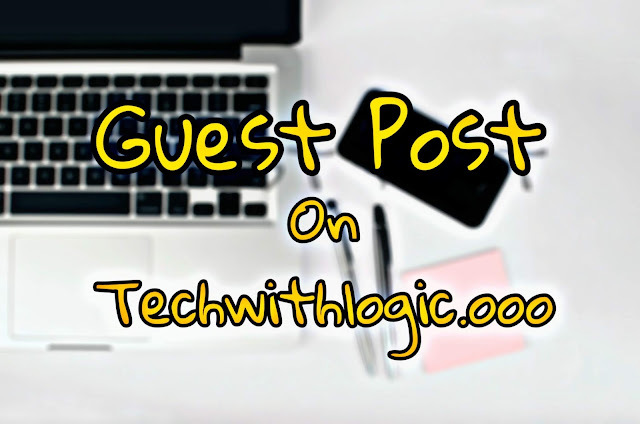 If You want Guest Post on Our Blog Tech With Logic then here we are sharing the Method for How to Get Guest Post on Tech With Logic . You have to follow all the terms and Conditions to get Guest Post on Tech With Logic. First of all Your article should be in English Language. Other languages are not allowed. Your article should be 100% Unique. So, don't waste our and your time while submitting a copy paste article because we will check it's plagiarism. We will post only one Guest post every week. So, your article should be better than others to get post earlier. We will not charge any Money for the Guest Post. All you Need to do is Submit a good article. You can add upto 2 links to your Website. Article should also have images. Without images articles not allowed or you can consult to us then we will make image for that article by ourselves. So, If Your article pass all the terms and Conditions then You are eligible to Get Guest Post on Tech With Logic. How to get Guest Post on Tech With Logic? All You Need to do is Write whole article in .txt Format and Email it to luckyvijay845@gmail.com with Subject For Guest Post on Tech With Logic . We will Review it and Reply to You As soon as possible.